Product Details- Material- Cotton Rope, Use-ideal for outdoor and indoor activities. They are extremely durable and can keep pets entertained for hours. They also help floss teeth and massage gums, Suitable-Small or Teething Puppies, Dimensions - 10 cm. 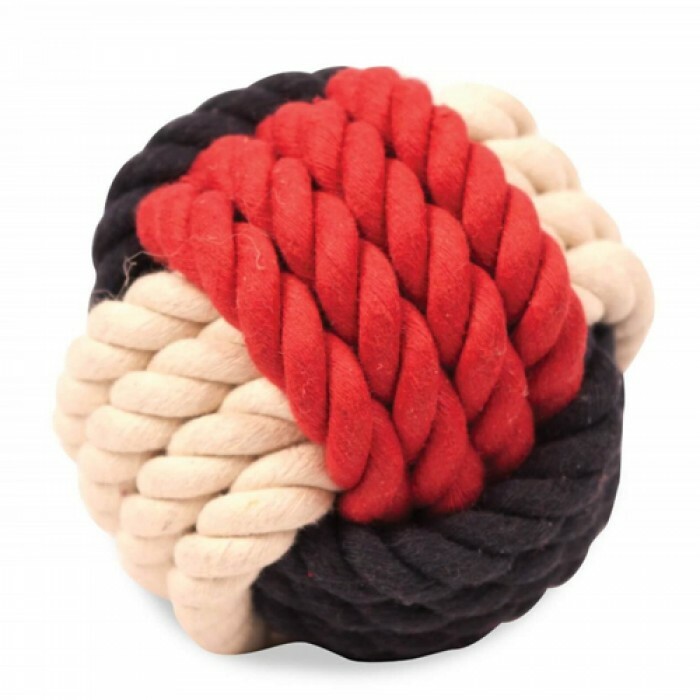 Product Information -Pet Brands New England Cannon Ball toys are a range of high quality cotton rope toys ideal for outdoor activities They also help floss teeth and massage gums.Puppies face a lot of discomfort when they are teething. The new teeth irritate their gums and they want to chew on things to get relief. It is during this time that you need premium quality teething toys that keep your pups engaged and help them cope with teething. Pet Brand England Cannon Ball is a premium quality rope toy for your pets. The rope has been closely knotted to form durable and attractive pet toys. Pet brand toys can be used as a training toy as well as it a great toy to play with both indoors and outdoors. It is extremely durable and can keep pets entertained for hours.